Superfood infused shakes, each loaded with vitamins and whole foods. Perfect for a any-time of the day pick me up! We are 100% committed to being organic, always. That means everything in our products, down to the last pea sprout or crouton is made without the use of chemicals or hormones. Soft, chewey and gluten free. What more do you need? We use ethically sourced local meats in our products to ensure quality and reduce our ecological footprint. 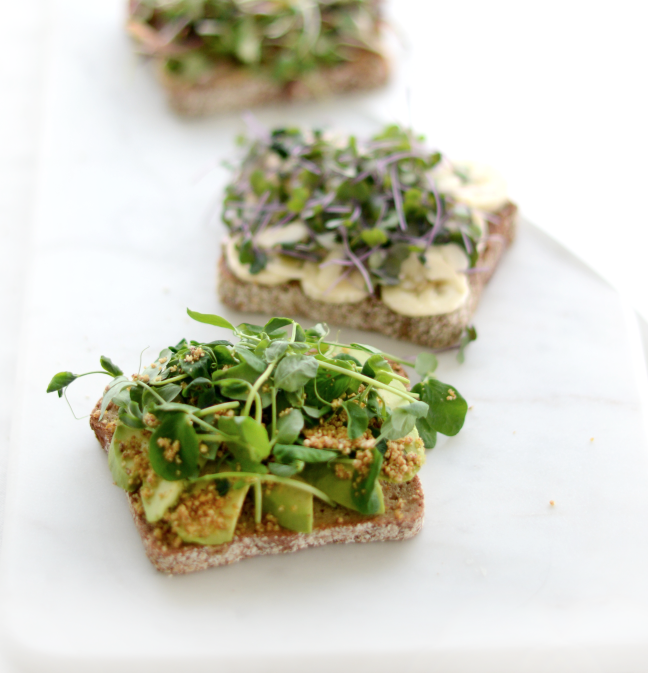 Our toasts are packed with whole super ingredients on gluten free bread. Each of these are made fresh to order.